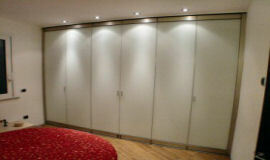 GM Morando introduces GM Wardrobe, the GM walk-in wardrobe. In fact, it’s possible to use the Giemme System folding glass doors for closing off internal spaces such as wardrobes or closets. 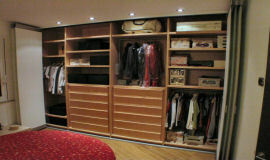 GM Wardrobe is the only walk-in wardrobe which is able to open up completely. The fast and practical folding design allows you to access all parts of the wardrobe at once without having to close or move parts of the doors. The space used up at the side is minimal. 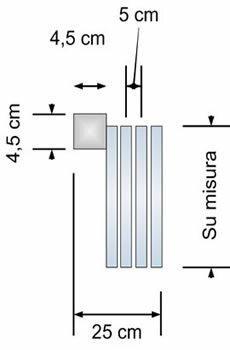 For example for a design with a width of 3100 mm (made up of 4 doors of around 790 mm) the space taken up when the doors are folded back would be a mere 25 cm. 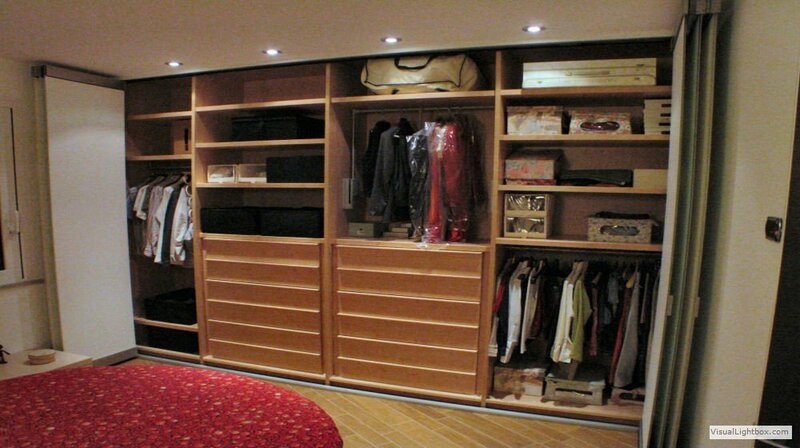 In addition to closing the wardrobe, the presence of seals between each of the doors prevents dust from entering. Furnish with sophistication and elegance and customize in an infinite number of ways: from the choice of finishes of the aluminium parts (anodized, painted RAL, wood effect etc.) to the composition of the glass from the GM Dècor line (transparent, frosted, lacquered, mirrored, designer glass or even decorated with classical or modern images). Therefore a wide choice is available from the more sober GM Wardrobe (with sliding doors that don’t allow you see inside) to the more extravagant and innovative designs with semi-transparent decorated doors which create light effects, perhaps thanks to an appropriate internal lighting solution. 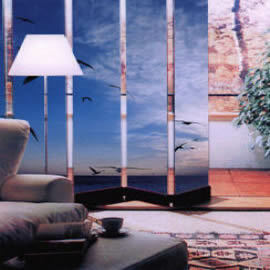 Depending on one’s needs, the type of glass applied can be more or less transparent, perhaps even allowing a glimpse inside the wardrobe itself. The best solution for emphasizing the Giemme System glass doors would be to use recessed ceiling spotlights and where possible to hide the upper rail. 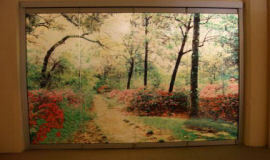 At the same time a more streamlined image can be achieved by embedding the upper track into the ceiling. Another solution could be to place LED coloured lights behind semi-transparent glass thus obtaining beams of coloured light which radiate all over the glass.